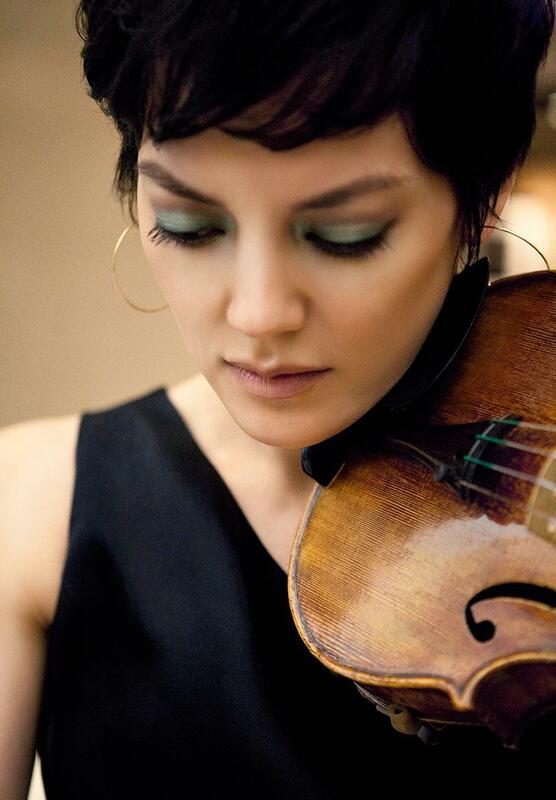 Anne Akiko Meyers new release pairs Antonio Vivaldi's The Four Seasons with Arvo Part's Passacaglia. Violinist Anne Akiko Meyers' new release finds her tackling one of classical music's most famous works: Antonio Vivaldi's The Four Seasons. Her latest offering pairs Vivaldi's Opus 8 with Passacaglia, a work from contemporary composer Arvo Part. The release is the CD of the Week on KBIA. Instrumentalist Meyers started her performing career young appearing on The Tonight Show at age 11 and performing with the New York Philharmonic a year later. 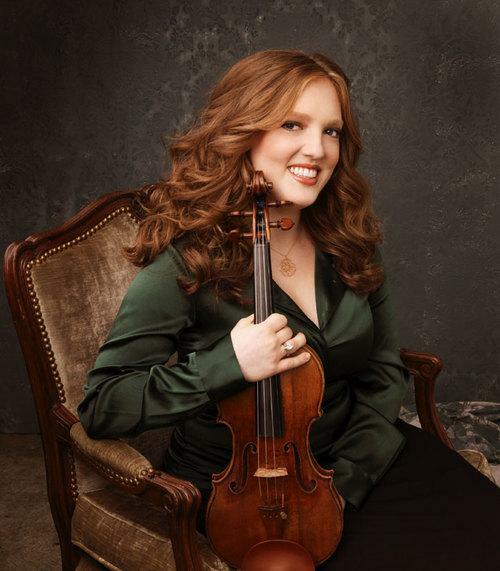 In 1993 at the age of 23, she received the prestigious Avery Fisher Career Grant. For her latest recording, Meyers tackled Antonio Vivaldi's sublime masterpiece The Four Seasons adding contemporary Estonian composer Arvo Part's Passcacaglia for a touch of the modern. I recently spoke with Meyers who was at her home in Austin, Texas. Here are some excerpts from that conversation. You can listen to the interview on Thinking Out Loud next Tuesday evening on KBIA. I'm impressed with the range of works you record. You've been recording for a number of years now. How did you come to the idea of commissioning contemporary composers? I've always really had a deep appreciation for composers. Studying composers old and living I had such an avid curiosity to work with living composers and also play music that was undiscovered or cutting edge in a way that audiences could experience something really exciting. It's always been part of my daily activity to listen to new music and incorporate it within concerts, recital programs, concerto appearances and work with music directors to further the listening horizons of audiences with new music as well as commissioning young composers. It's just been part of my history ever since I have been playing the violin. A lot of the historical patrons in classical music were royals or those with deep pockets. Historically, did other instrumentalists commission new music or is that something new for the 21st century? I love to work with living composers. The new work coming out later this year is a new concerto by Mason Bates, a wonderful cinematic composition that he wrote for me and I premiered with the Pittsburgh Symphony... Looking back at history I think of Ravel and Rachmaninoff I think I would have just been knocking at their door relentlessly to get them to write something for the violin. It is the responsibility of the performer to discover and bring forth this music as much as possible. You tucked Arvo Part's Passacaglia on your new CD. How does that fit with The Four Seasons by baroque-era composer Antonio Vivaldi? The Arvo Part piece is a Baroque-inspired, very short, four-minute work. It is incredible to hear how much happens in four minutes. Arvo Part's music is always very mystical and spiritual and very reflective in nature. I wanted to show how one of the most popular composers today who is performed all the time is paired with a composer who is so popular from the 17oos. Everybody loves Vivaldi. We are all just in awe of his writing and music. To show what is popular from a contemporary composer today as well as a composer from the 1700s was fascinating to me. Listen to Thinking Out Loud each Tuesday at 6:30 p.m. on 91.3fm KBIA and stream past episodes here.